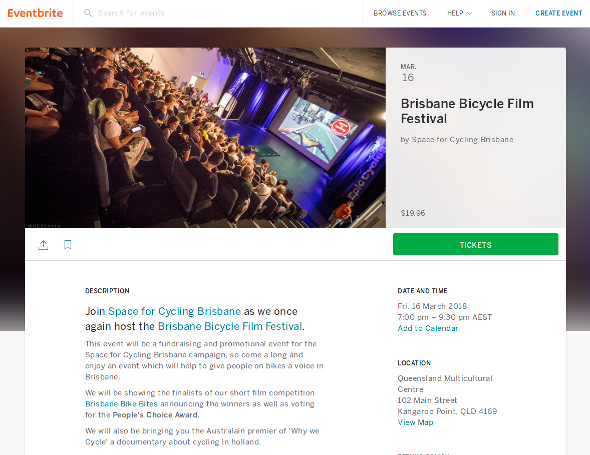 Get your Brisbane Bicycle Film Festival tickets from Eventbrite. Brisbane Style Over Speed – a casual bike ride that’s a ton of fun and shows that you don’t always need lycra and power metres to ride a bike. 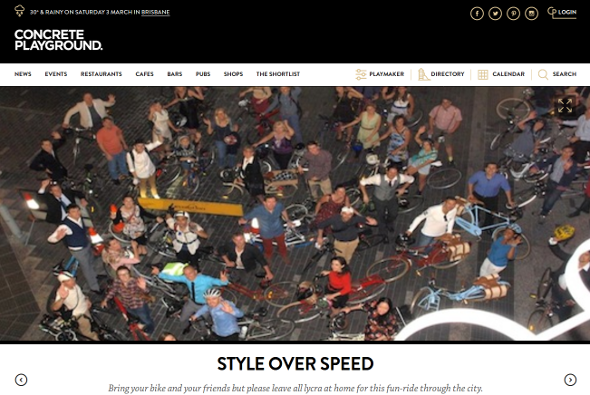 If you’ve never been to Style Over Speed, it’s basically a whole lot of people who get dressed in their best and ride their bikes to the pub or some other event. And when I say dressed in their best I don’t mean best lycra. I mean best normal clothes that you would wear when you’re not riding because riding can and should be done like that too. Expect to see plenty of Dutch bikes, Bromptons and various custom town and cargo bikes but don’t worry if you haven’t got one of those – the important things are that you a) come along for the ride, b) wear normal clothes and c) enjoy yourself.